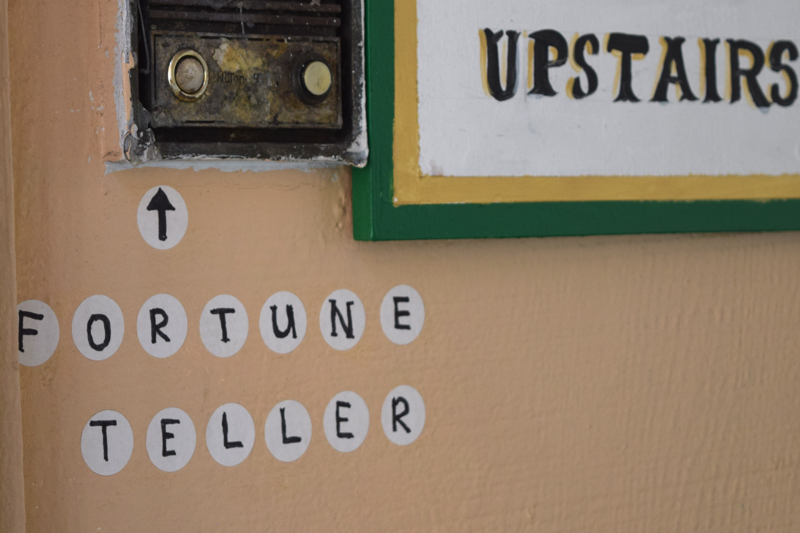 Why Is Fortunetelling (Still) Popular? 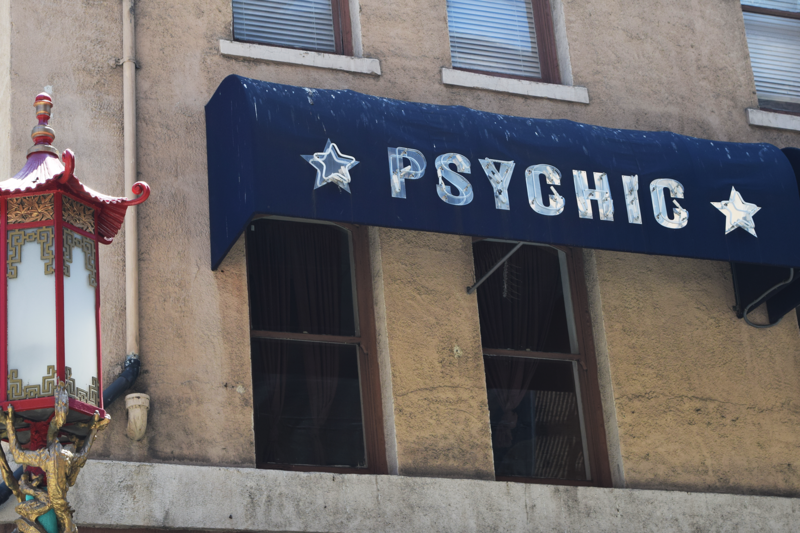 ou’ve probably seen them around the Bay Area: roadside signs advertising “Psychic Within” or “Fortuneteller Inside.” Perhaps even a bright neon palm in the window. Sights like this might cause a skeptical mind to wonder: Who, in 2018, is still visiting fortunetellers? The short answer: Many people. And if you aren't among their number, you almost certainly know somebody who is. Amid the stereotypes and worst-case scenarios, it’s easy to overlook just how much this world can mean to those who fully buy into it — with a commitment that borders on faith. In San Francisco, the place to meet many of those folks is at the annual San Francisco Psychic Fair. 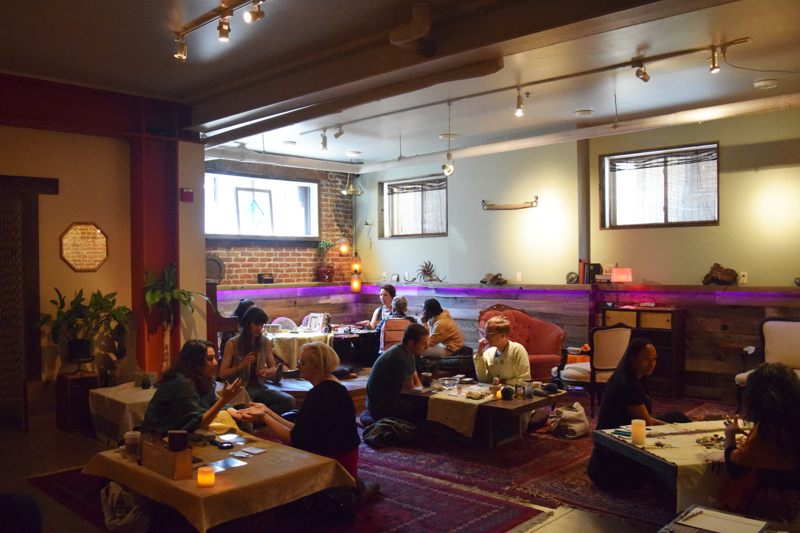 In a cozy tearoom space on Fillmore Street, a young, diverse crowd gathered to mingle, drink tea and get a reading. Beyond a set of heavy wooden double doors, 10 fortunetellers were waiting for them in a softly lit hall, seated at low tables with cards, crystals and candles. 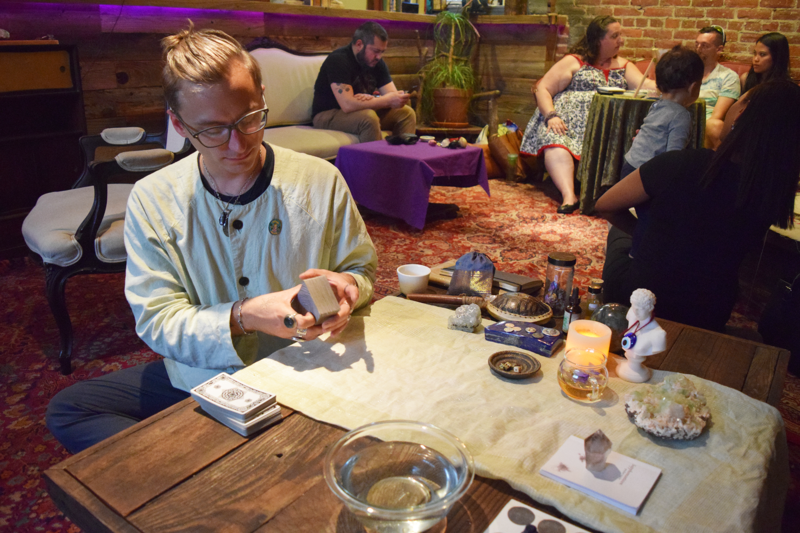 This idea, that a psychic consultation is actually about facilitating self-discovery in the client, was echoed by Brittany Clark, who’d come to the fair as research for a novel she was writing. She says the reading she received “validated, in some way, some things I was already thinking about” regarding needing creativity in her life. Regardless of how much you believe in psychic ability, getting a reading of some kind can be a compelling experience. The process — with the fortuneteller sitting close to their client, focusing only on them — is intimate. As is the sensation of being "seen" in some way, even if what a person is being told is ultimately generic. 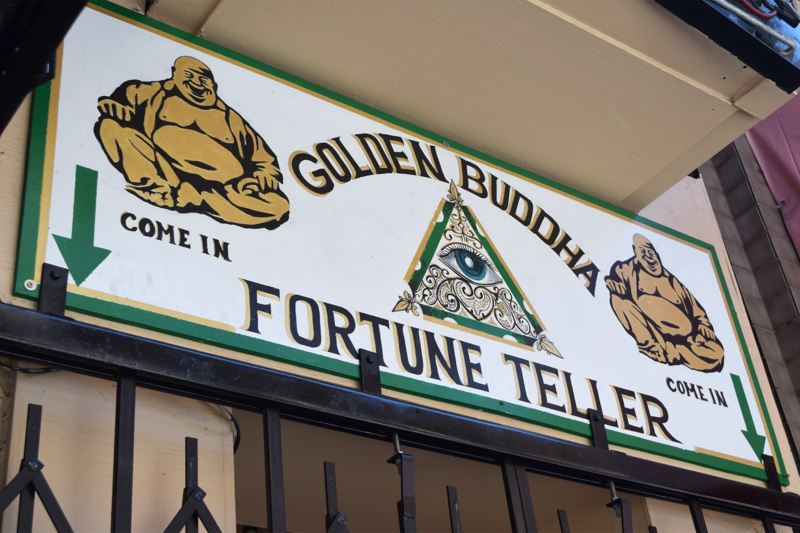 The more you hear people explain their motives for seeking out psychics, the more fortunetelling can sound almost like therapy — albeit far more spiritual, and maybe more affordable. 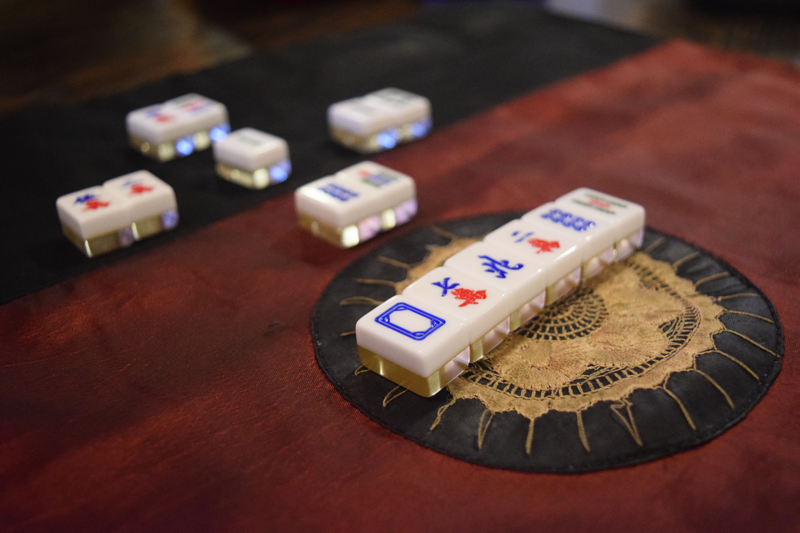 Yet looking at the cultural history of fortunetelling, this is not an unusual concept. “I'll tell you the way my clients describe me: ‘spiritual teacher,’ ” says George Eli, a Roma fortuneteller who’s also a filmmaker and activist. Yet the word "fortunetelling" doesn’t even exist in the Romani vocabulary. “It's not an internal word that lives in our community,” Eli explains. Instead, the Roma speak of “Drabarimos, which originates from the word Drab, which means medicine. Spiritual medicine administerer: That's the word that lives in our culture." For the Romani, Eli says, what non-Roma folk call “fortunetelling” is not just a livelihood. It’s a deeply held way of looking at the world that goes back centuries. It lives just as much in Roma homes, within families as a daily spiritual practice, as it does behind storefronts. “Everybody I knew, my aunts, uncles, my ancestors to my lineage back to a thousand years were drabarni,” Eli says. As a way of seeing the world, Eli believes these practices date back to the Three Wise Men of the Bible. The foretelling, the interpretation of dreams — that's exactly what the Magi did, he says. 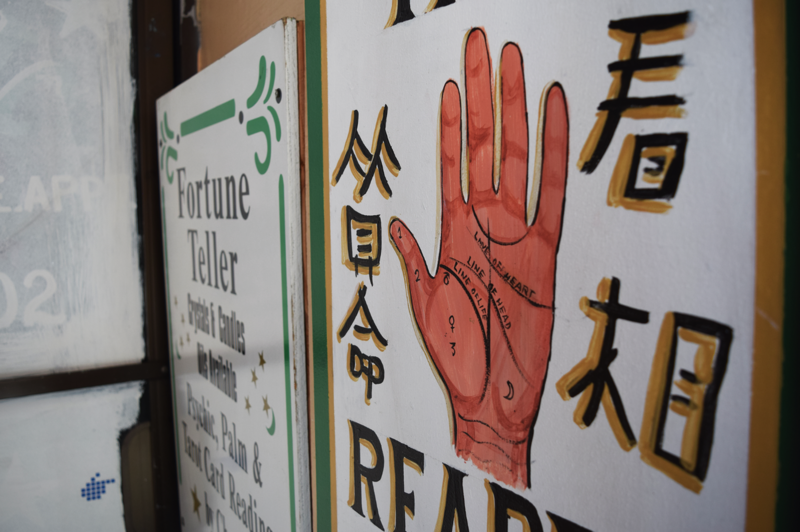 Romani voices in San Francisco were some of the loudest in opposing the city’s introduction of permits for psychics in 2003, though Eli believes some regulation is necessary. For him, it’s all about intent on the part of the regulators. “If the intentions are to brand us as ‘the other’ or, say, make a statement that we're not born here, of course that's wrong. And that's not American,” he says. 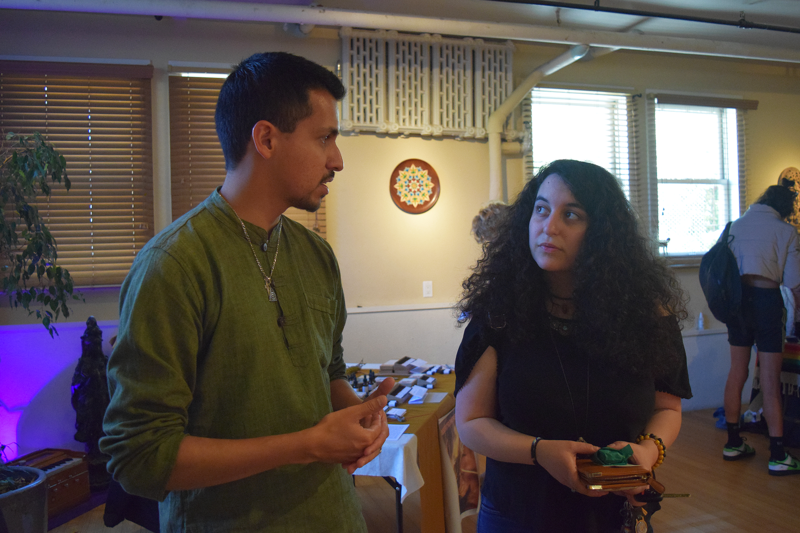 Eli says police investigations of psychics often fundamentally misunderstand this practice’s spiritual place in the culture. “If you're charging this woman, or this man, for a con game and manipulation, for charging somebody [money] to help them with their emotional problems or whatever darkness that is around them? Then you have to go to your local church and you have to arrest everybody in there,” he says. It’s not just the Roma who view fortunetelling in this remedial way. 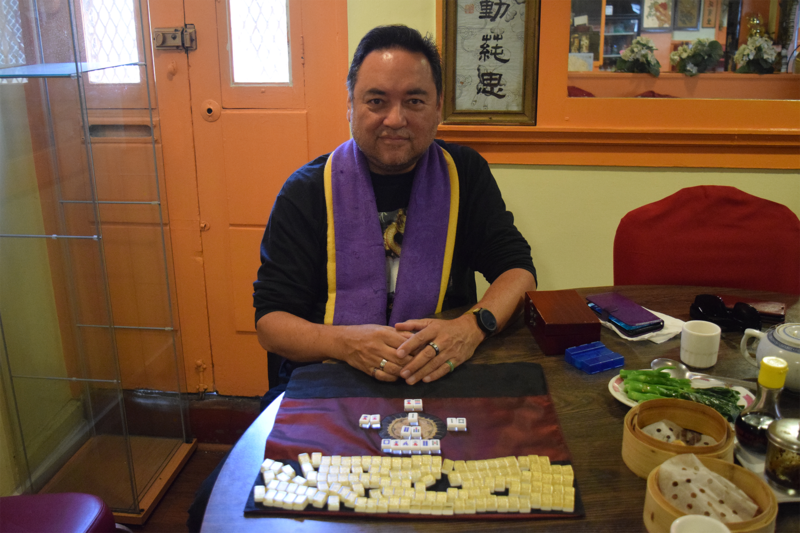 Elements of these practices have deep roots in many cultures, like the Latino folk-healing tradition of Curanderismo, Afro-Cuban Santeria, Chinese suan ming and Indian Vedic astrology. To outsiders, this world is so much bigger — and older — than you might think. Yet as a business, it’s also keeping up with the times. In the Bay Area, you can now find psychics online, rank them by their Yelp ratings, and pay them via Venmo. Some fortunetellers even offer virtual readings in addition to in-person consultations. Around 500 people have seen him more than once at some point over the last five years, and they don't fit one stereotype. “From nurses to students, to doctors, to lawyers, a judge, software engineers — all types, all types of ethnic backgrounds,” he says. People have questions, troubles and heartaches in all phases of life. 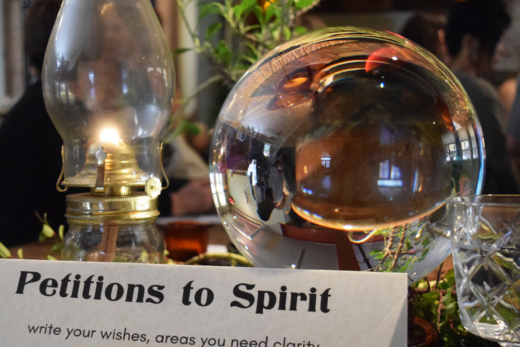 Yet for those in that “spiritual but not religious” camp, the suggestion offered by a psychic reading that there might be a plan to it all obviously has appeal — especially during those years that can feel particularly turbulent. How much a person buys in, of course, is entirely up to them.